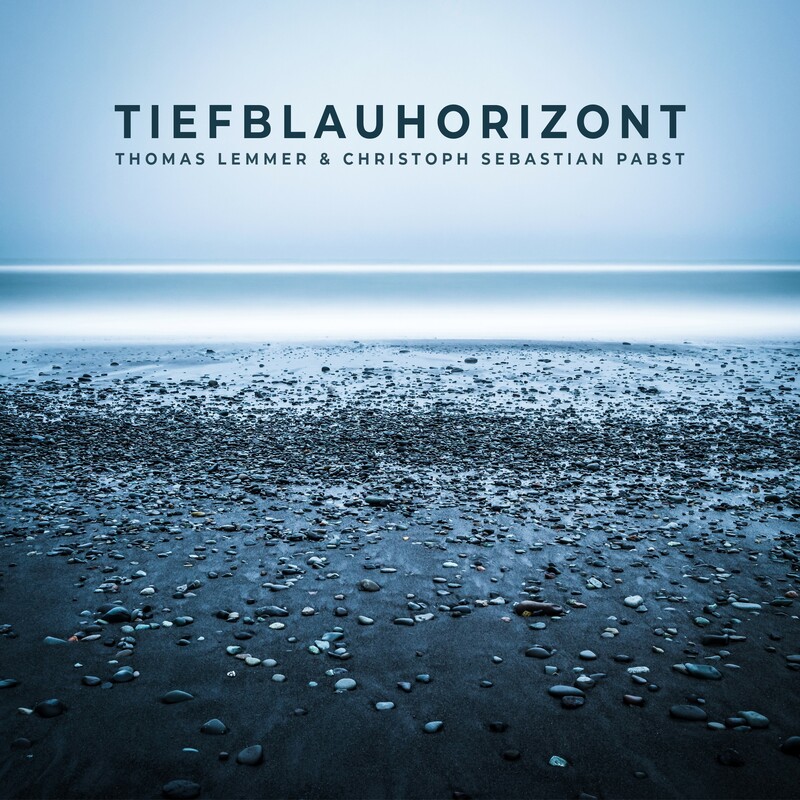 With “Tiefblauhorizont” the duo Thomas Lemmer and Christoph Sebastian Pabst seamlessly continue the success of their debut EP “Meeresleuchten”. The EP will be released on the 19th of October 2018 by the renowned electronic label Sine Music and will be available at all well-known download and streaming portals. The theme of marine worlds leaves great room for interpretations and inspires not only the artists themselves, but also everyone who gets involved in the magic of these sounds. An overall concept that works and gives hope for more. As before, the proven medium of cooperation was the internet. In the real and virtual sound laboratories between Osnabrück and Munich, the creative ideas were built up and refined, as well as arranged and produced into the overarching concept. They have continued to evolve into a wonderful mixture of sound, atmosphere, and rhythm. As with the song “Meeresleuchten”, the artists used the Chinese ruan guitar as the main element for “Tiefblauhorizont”. In the song “Kalkfelsenbucht” two arched zithers are used, a Japanese koto, and a Chinese guzheng. The electronic element of their music comes to full use in “Lapislazuliküste” and “Korallenmeer”. With intoxicating sounds of spheres and effects, an almost realistic image of a mysterious marine world is revealed. Immerse yourself in this unknown, fascinating world between sounds and imagery.